Our 1st Annual LEXLIN GYPSY RANCH SPRING PRODUCTION SALE was held on an absolutely beautiful spring weekend in Rockwood, Tennessee. The Friday presale viewing day saw several families out at the farm inspecting, and discussing the horses with our ranch staff. Saturday’s online video and audio feeds went live at 0900 as scheduled. 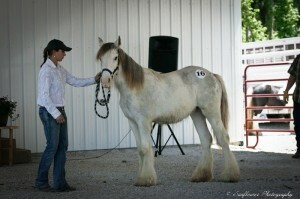 We had a mixture of geldings, mares, fillies, colts, and even a stallion highlight in the lots. The auction started at 1000 and completed in the afternoon shortly after 1500. Over 800 people visited the website on the day of the sale with many more watching the production sale online at justin.tv from around the world. Of the 29 horses to enter the auction pages of our catalogue, 8 of them sold either before or during the auction. 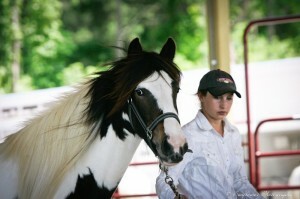 The remaining 21 horses received bids, but did not meet the auction reserve price. Our average sale price for the auction horses meeting the reserve price was $9,063.00. With a top sales price of $19,000.00. Our sold horses, from the Production sale, are heading to new homes in Minnesota, California, Florida, Virginia, Tennessee, and North Carolina. We appreciate all the support from our vendors, staff, co-workers, 4H programs, Countryside Veterinary Services, our auctioneer, our great clients, and family. Some of our staff were not able to attend the sale as their homes and their neighbors homes were damaged in the recent tornados that passed through Tennessee and other surrounding states. We received 6 inches of rain over the two days prior to the sale and we are really thankful to our staff for the extra efforts they put into washing and rewashing the horses to make them presentable despite all of the mud from the storms. This event brought with it some lessons for the future, some constructive comments from folks in the industry, and a new method of showing off our wonderful Gypsy Vanner Horses!! 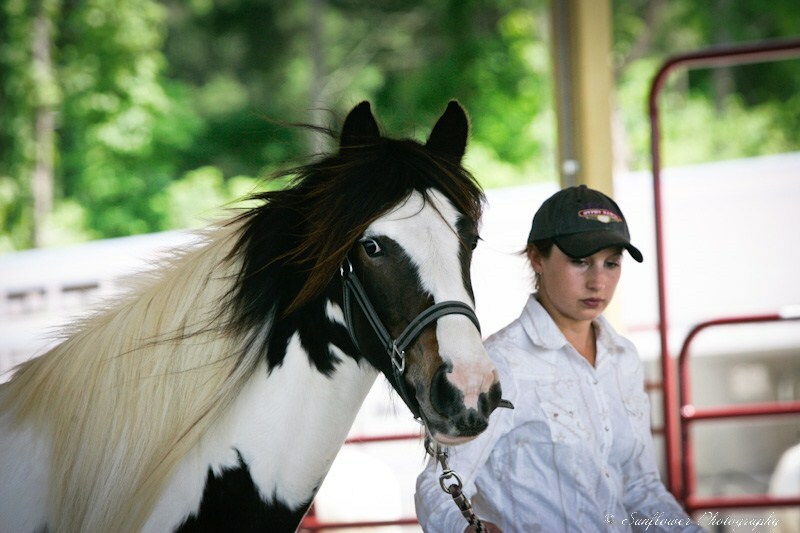 As a final note, we wanted to clarify that LexLin Gypsy Ranch is looking at new and inventive ways to bring the Gypsy Horse out into the American publics attention. We did not sale 21 of our horses because the reserve prices were not met. In some instances, there was only a $250 difference in the auction bid received and the reserve price. Even in these cases, we did not let the horse go because the reserve was not met. We appreciate feedback, so if you have ideas or suggestions feel free to call or email at info@gogypsy.com.